Many people have been distressed about having Google Glass users record their every move, surveying their homes and family and generally having access to their information at any time thanks to the cyborg-like glasses they are wearing. Clearly, that’s probably not the purpose of most Glass users, but people are generally skeptical about people who look like walking cyborgs with some weird glasses on their noses. Julian Oliver, the creator of Glasshole.sh has already tampered with a system that will detect Glass users in your vicinity and boot them from the network they are connected to. Oliver says that the program he has written designed for certain computers like Raspberry PI, functions on the principle of identifying the specific MAC addresses of augmented reality devices that leave a unique signature when connecting to local networks. After the program identifies the cyborg, it automatically boots it from the network so that it won’t be able to exercise its futuristic powers. The developer, however, has come up with a new, even better idea. He has created a device, no bigger than a standard charging device, that can detect cyborgs roaming your neighborhood using the same protocol. The device is called Cyborg Unplug and it will be available for pre-order on Oliver’s website later this month. 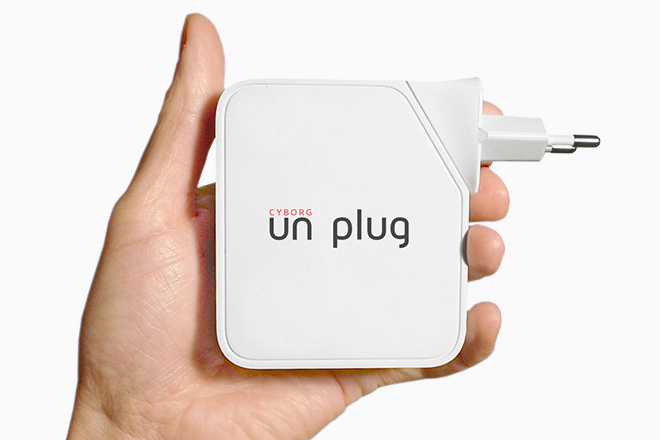 The Cyborg Unplug has the ability to alert you when an alleged cyborg is in your neighborhood by either emitting a pre-assigned sound or flashing the LED light it will come equipped with. Cyborg Unplug will be available in two versions: “Little Snipper”, the cheaper version you will be able to buy for $50, equipped with only an LED blinker alert and “the Axe” which will set you back $85 and will include the Android app, an audio connection to any nearby speakers, and a 5G Wi-Fi/2.4G connection. “It’s just modified router hardware, but instead of allowing devices to get to the internet, it does precisely the opposite,” Oliver says about the provenience of the gadget. The default state of Cyborg Unplug is called “Territory Mode” and it will act as a defender of the user’s network, but there will be a more aggressive “All Out Mode”, allowing the gadget to seek out and disconnect nearby surveillance devices on any network it connects to, including Glass’s wireless connection to their owners’ phones. I’m not sure many will be happy about this and it’s probably not even legal to do, but Oliver doesn’t even recommend this mode. Surely, he knows something about something. With the growing collective anxiety about surveillance and privacy issues, the Cyborg Unplug comes as a de facto demonstration that people are getting more and more worried that they are losing their privacy and in consequence, their sense of security. Since technology has advanced so much, it has brought us gadgets that both positively and negatively impact our senses of security. 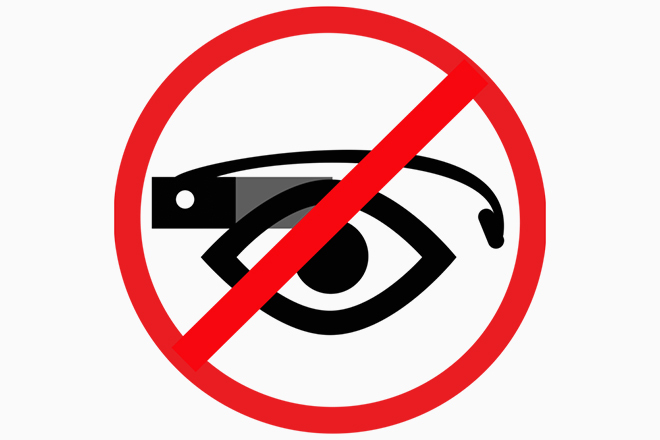 Fingerprint sensors, secure browsers, IP blockers and cyborg detectors come on one side of the balance, whilst Google Glass, Baidu Eye, smart contact lenses take their place on the other. One of the things we are wondering about is whether Cyborg Unplug will be able to enter the market, since we can’t really determine whether booting devices off of public or local networks is a legal practice. What do you think about the gadget? Would you buy one? Do you think surveillance has gone too far in our society? I for one think booting users from networks is a bit too much, and people are just a bit too worried about Glass users misusing the technology. 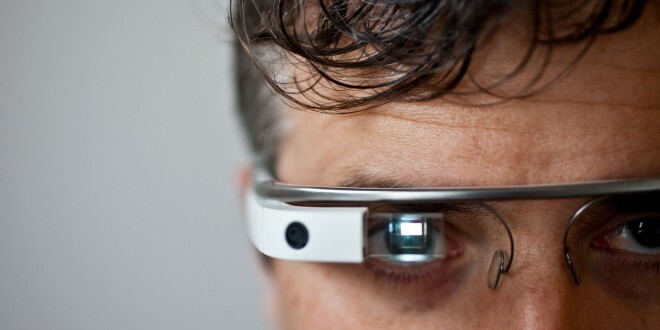 Another Google Glass in Development?